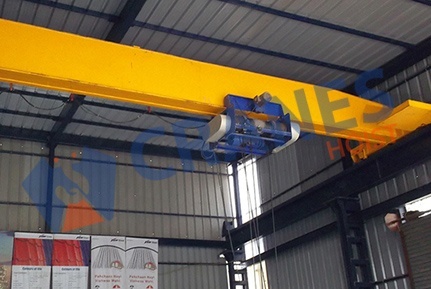 With deep knowledge of industrial trends for material handling equipments, we have designed and developed different ranges of EOT cranes with global standards. Our series cranes encompass intact material handling need of varied industrial and domestic segments. It efficiently fulfills every kinds of lifting and moving need of industry and offers safe and sound moving of light to heavy objects. 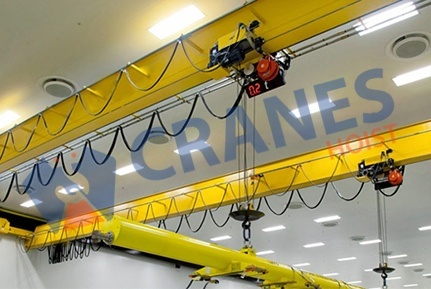 Our electrical overhead travelling crane outfitted with runways. 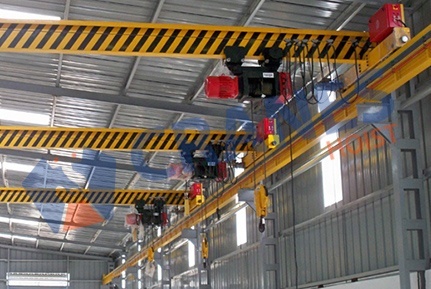 It is most common type of overhead crane and it is found in most factories according to it’s name, these are electrically operated by a control pendant, ratio remote pendant or from an operator cabin attached with crane itself. Complete Construction Is Done With Confirming Global Norms. Entire system is fabricated, erect and tested confirming IS-3177.